BRUSSELS, Belgium -- With the euro zone crisis still dominating headlines, developments in the European Union's eastern neighborhood are perhaps not drawing as much attention as they deserve. Ukraine has had to be content with being part of the EU's European Neighborhood Policy (ENP) and Eastern Partnership and been given a “to-do-list”, which, over time seems to become longer and more difficult. Being situated at the heart of Europe, Ukraine is without doubt a bona fide European state. Kiev has craved closer ties with the EU, but progress has been slow, because the EU has preferred to keep the country at arm's length. While many of Ukraine's neighbors have become EU members, Kiev has been refused in such perspective. Nevertheless, Ukraine has made first step to give up on its EU dream. It is due to finalize negotiations on a Deep and Comprehensive Free Trade Agreement (DCFTA) and Association Agreement by the end of this year. In particular, the DCFTA negotiations have been tough, and Kiev has had to make a lot of concessions for an agreement which in the short term will be costly for the country. Unfortunately, these efforts have now become totally overshadowed by the judgment with regard to Ukrainian Ex-Prime-Minister Julia Tymoshenko. The case has viewed as politically motivated and caused a great wave of negative reaction from the side of European politicians, including intimidation to reject the signing of Association Agreement. However, according to the analysts by suspending talks on an association and DCFTA, the EU would not risk only its relationship with the most important country in eastern neighborhood but also the credibility of entire eastern neighborhood policy. It seems like some politicians and political groups of the EU, rejected the idea of an associative membership of Ukraine, one day are using the case to sabotage Ukraine's efforts to further integrate into the EU. Ukraine carried out a line of reforms required by the EU last year. While Ukraine is far from perfect, it has taken on obligations similar to those which requested from EU candidates without receiving the same assistance and the conclusion and implementation of the DCFTA would strengthen ties and offer the EU more leverage on Ukraine. A free trade area, making by signing DCFTA, is the first core element of EU integration and first close economic step. 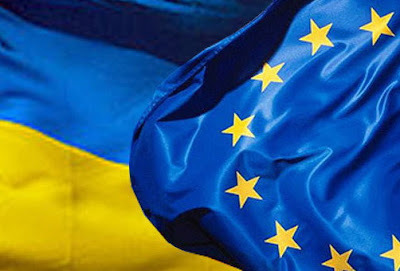 According the analysts the total volume of EU-Ukraine trade in 2010 made €28.7 billion ($38.5 billion); 31.4 percent of Ukraine’s trade was with the EU-members. Commercial relations at least were up on the recession year of 2009, though FDI was down; but all these figures are way below potential and could easily multiply overnight. Ukraine‘s exports to the rest of the world also surge once they are certificated by the EU. The Most important is that the DCFTA offers macroeconomic benefits to Ukrainian society as a whole, consumers and producers alike. Agreement would be implemented slow and partial. Implementation costs would also be high, particularly the building of new institutions to ensure that commitments made on paper are implemented in practice. But, given the chance, the DCFTA would introduce a large proportion of EU commercial law and restructure large parts of the country’s bureaucracy along modern, market-friendly lines. An accumulation of small steps would transform the way Ukraine does business, the way the state is run, the lives of ordinary citizens, workers and consumers, and the way business and politics interact. The DCFTA is not incompatible with maintaining and even expanding the obvious benefits of trade with other countries, particularly because the Russian project of Eurasian Economic Union is based on copying most of the EU rule book, the acquis communautaire - European principles of functioning of economy, society, political and judicial system. So, that it could be a partner of the EU one day. Nowadays in any case the EU-Ukraine negotiating team is making continued progress, but the agreement at the EU-Ukraine summit in December is under threat by political reasons. And all we know what they are. It is not however become the wall on a way of people aspiration to join European standards. The beginning of creation of free trade area will be for Ukraine the beginning of adaptation process to the common European rules not only in a trade but also in political relations. We can see today the approach to primary priorities: anti-corruption drive, strengthening of institutes of human rights protection, measures for stability and renovation of national economy in order to neutralize negative consequences of world crisis, improvement of investment and business climate. Don’t forget that Ukraine is also a centre of Europe geographically and has a lot of energy resources, so that is why European counties would receive their own benefits such as low-price gas supplies and new customers of their products. I think we don’t need to make haste with our conclusion: there is large country with great economic potential and industrial abilities, with hard-working people, wealthy culture, customs and traditions and people who want to join Europe and believe themselves Europeans. Let’s open the door to the EU and maybe it would be right step.